Thank you to Wieden+Kennedy for their Platinum Sponsorship and to COAST Products/David & Julie Brands and Reliable Credit Association for their De La Salle Sponsorships. Together, we are #ChangingDestinies one student at a time. 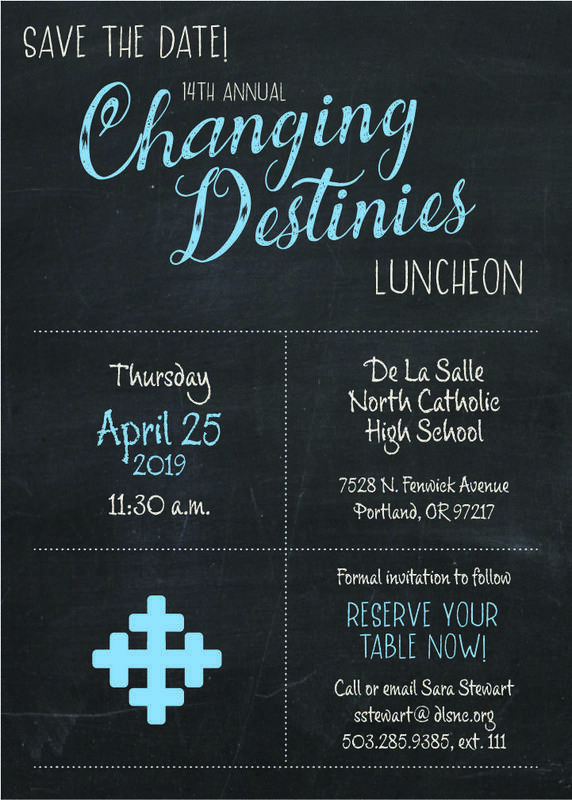 Save the date for our 14th Annual Changing Destinies Luncheon! Reserve your table or buy your tickets now. Corporate Sponsorship Opportunities are also available. Thank you to Coast Products/David & Julie Brands and Reliable Credit for their De La Salle Sponsorships of our luncheon and to Wieden+Kennedy for their Platinum Sponsorship! With their support, we are #ChangingDestinies one student at a time.